The diversification of the national economy and the consequent growth and specialization of production, in terms of the domestic production and exports markets, requires appropriate volumes of national and foreign private investment, as the driver of production activities, with the State acting as the promoter and regulator of the economic and social development. Considering the need to make adjustments to the existing statutory and institutional framework, with a view to making the process to promote, attract and implement private investments in the national economy faster, more facilitated and more secure. This Law defines the principles and general bases of private investment in the Republic of Angola, sets forth the benefits and facilities which the Angolan State may grant to private investors and the criteria for access thereto, as well as it defines the rights, duties and guaranties of private investors. 1. This Law shall apply to private investments in any amount, made by either national investors or foreign investors. 2. This Law shall not apply to investments made by companies controlled by the State, in which it holds the entirety or the majority of the capital. 3. This Law shall also not apply to those business sectors whose investment regime is governed by special legislation. (l)	“Special Purpose Vehicle”: the company through which the Private Investment Project is implemented. (g)	Respect for the bilateral and multilateral agreements and treaties in the field of investments to which the State is a party. The private investments made in accordance with this Law shall, irrespective of the form they take, contribute to the economic and social growth and development, and shall comply with the provisions of this Law, its regulations and such other legislation as may apply. Private investment may be national, foreign or mixed. (o)	The acquisition of immovable property located in national territory, when such acquisition is part of private investment projects. 2. For projects exclusively intended for exportation, the procurement by national investors of third-party resources abroad shall, on condition that the repayment of the debt servicing is guaranteed by the exports revenues, qualify as national investment operations. 3. Operations consisting of the rental or charter automobiles, vessels, aircraft or other assets which may be rented or chartered, leased or otherwise used on any other temporary basis in national territory, shall not qualify as national investment operations. (f)	Investment of funds in national territory by way of reinvestment. (m)	The incorporation of subsidiaries, the registration of branches or the setting-up of other forms of corporate representation of foreign companies. servicing is guaranteed by the exports revenues, qualify as foreign investment operations. 3. Operations consisting of the rental or charter automobiles, vessels, aircraft or other assets which may be rented or chartered, leased or otherwise used on any other temporary basis in national territory, shall not qualify as foreign investment operations. 4. Notwithstanding the provisions of paragraph 3 above, the operations referred to therein may qualify as foreign investment operations, provided that the Head of the Executive, expressly and on a case-by-case basis, elects to assign such a status to said operations in view of their significant economic relevance or strategic importance. (e)	Capitalization of technology and know-how. 2. The investment operations described in sub-paragraphs 1(d) and 1(e) above shall in all cases be made together with a transfer of funds from abroad, namely to cover incorporation and installation costs and current expenditure. Shareholder loans made for foreign investment purposes may not be in an amount higher than 30% of the amount of the investment made by the incorporated company, and shall only be reimbursable three (3) years after the date on which they were recorded in the company’s accounts. Whenever the national or foreign investor intends to make operations qualifying as indirect investment under this Law, said operations shall not be in excess of 50% of the total amount of the investment. The companies incorporated pursuant to the Angolan legislation, even if with foreign capital, shall for all legal purposes qualify as companies organized under Angolan law, and be subject to the Angolan legislation in force. 1. The State respects and protects private investors’ right of ownership over the assets of their undertakings, namely the right to freely dispose thereof, under the terms of the law, without interference from third parties, including the State. 2. The assets referred to in paragraph 1 above may only be subject to requisition or expropriation under the strict terms of the Constitution and the law. 3. Should the assets referred to in paragraph 2 above be the subject of requisition or expropriation, on grounds of public utility, as provided for in said paragraph, the State guarantees the payment of a fair and prompt compensation, under the terms of the Constitution and the law, the amount of which shall be determined in accordance with Angolan law. 4. The State respects and protects the private investors’ professional, banking and trade secrecy, under the terms of the law. 1. The Angolan State guarantees to all private investors the right of access to the Angolan courts for the defense of their rights, and due legal procedure, protection and security. negotiation, mediation, conciliation and arbitration, provided that such disputes are not exclusively subject to a judicial court or mandatory arbitration by a special law. 1. Intellectual property rights are guaranteed, under the terms of the law. 2. The State respects and protects the rights of possession, use and enjoyment of land, as well as of other domain resources, under the terms of the legislation in force. 3. The interference from public authorities in the management of private enterprises is prohibited, except in the cases provided for in the law. 4. The cancellation of licenses or authorizations without the due administrative or judicial process is prohibited. 5. Private investors have the right to import goods from abroad, to implement their projects, and to export goods, either produced by them or not, without prejudice to the statutory rules on protection of the domestic market. 6. 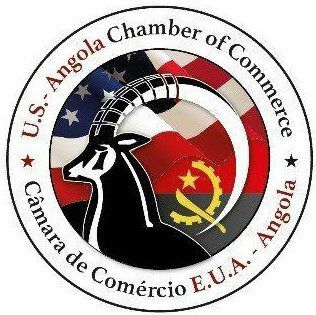 The carrying-out of the import and export activities referred to in paragraph 5 above shall be subject to the appropriate licenses being obtained from the competent Angolan authorities. Private investors shall respect the Constitution, this Law and the other legislation applicable in the Republic of Angola, and shall in particular refrain from directly or indirectly, acting alone or through third parties, perform any actions that amount to an interference in the internal affairs of the Angolan State. (h)	To take out and keep updated Third Party Liability Insurance and Insurance against Environmental Damage. (d)	The amounts corresponding to royalties or other earnings resulting from indirect investments, associated with the transfer of technology. 1. Private investors may resort to credit within Angola or abroad, under the legislation in force. 2. Foreign investors and the companies of which they are the majority shareholders shall only be eligible to access to credit within Angola upon their respective investment projects having been implemented in full. 1. The investors covered by this Law are subject to the legislation in force in the Republic of Angola, are entitled to the rights and subject to the obligations and enjoy of the benefits and facilities provided for herein. 2. The benefits granted under this Law shall apply exclusively to the activities included in the implementation of the registered private investment. 3. The private investment special purpose vehicles, which enjoy benefits under this Law, shall file a tax return relating to the relevant investment, separately from such other economic activities as they may carry out. 4. The granting of benefits and facilities shall be automatic, provided that the investment satisfies the criteria provided for in this Law. 5. Benefits relating to Industrial Tax, Property Conveyance Tax, Urban Property Tax, Investment Income Tax, Stamp Duty, and others of a similar or different nature, may be granted. (j)	To rehabilitate, expand and modernize the infrastructures intended for economic activities. Benefits may be of a Tax Nature or Financial Nature. Deductions to the taxable income, accelerated amortizations and depreciations, tax credit, exemption and reduction of tax rates, contributions and importation duties, deferred payment of taxes, and such other measures of an exceptional nature as benefit the investor shall constitute tax benefits. Access to credit through programs of the Executive which support the economy, such as microcredit, interest subsidy, public guarantee and venture capital to obtain financing shall constitute financial benefits. 1. Simplified and prioritized access to the public administration services, namely to obtain licenses and authorizations, as well as to secure swift access to public assets, shall constitute facilities. 2. The State guarantees to private investors, by means of concentrated services adopting expedited and simplified procedures, the essential legal, tax and social security registrations, as well as the possible registrations related to intellectual property, movable assets, immoveable property and the like. (i)	Basic Sanitation, Collection and Treatment of Solid Waste. (d)	Zone D – Province of Cabinda. 1. The tax and customs benefits are of an exceptional nature and they are limited in time. 2. Without prejudice to Article 33 of this Law, the granting and cessation of customs benefits shall observe the taxation regime established in the Importation and Exportation Duties Customs Tariff in force. (d)	By cancellation of the investment registration. The benefits provided in this Law may be granted to reinvestment projects, under such terms as shall be defined by regulations. Upon cessation of the benefits, the private investor shall resume the standard regime of payment of taxes and customs duties due, in connection with the Investment Project. 1. The Prior Declaration Regime involves the mere submission of the investment proposal to the competent Public Administration body for registration purposes and for the benefits provided for in this Law to be granted. 2. Under the Prior Declaration Regime, the companies shall be previously incorporated, and the presentation of the Private Investment Registration Certificate is not required at the time of the deed of incorporation. 3. The nature and structure of the Prior Declaration shall be governed by the regulations of this Law. 1. The Special Regime shall apply to private investments made in the priority business sectors and in the development zones provided for in this Law. 2. The private investments referred to in paragraph 1 above are to be registered with the competent Public Administration body, for the benefits and facilities provided for in this Law to be granted. Private investors may freely select either of the investment regimes. (d)	Stamp Duty: the rate is halved, for a period of two (2) years. Zone D – The Property Conveyance Tax rate shall correspond to half the rate granted to Zone C.
Zone D – The Urban Property Tax rate shall correspond to half the rate granted to Zone C, for a period of eight (8) years. The depreciation and amortization rates are increased by 50%, for a period of eight (8) years. Zone D – The Investment Income Tax rate applicable to the distribution of profits and dividends shall correspond to half the rate granted to Zone C, for a period of eight (8) years. 1. Under the Special Regime, the private investment special purpose vehicle is exempt from the fees and charges due for any service requested, including customs services, by a non-corporate public entity, for a period not exceeding five (5) years. 2. The regular assistance to monitor the implementation of Investment Projects, as well as to assist in the solution of problems that may arise with the public authorities in the investment projects’ implementation phase, with respect to operational aspects such as obtaining building permits, obtaining the supply of energy and water, obtaining visas, obtaining environmental licenses and to other operational requirements pertaining to the implementation of private investments, shall be provided by the Public Administration, by means of services concentrated in the same physical and/or virtual space adopting expedited and simplified procedures, under such terms as shall be defined in regulations. 1. The rules defined in the foreign exchange legislation shall apply to the foreign exchange operations relating to the acts referred to in Articles 7, 9, 10 and 19 of this Law shall. 2. The implementation of capital importation operations shall comply with such rules as defined in specific regulations of the monetary and foreign exchange authority. Private investment in the form of the importation of machinery, equipment and related components, new or used, shall be registered at FOB value in foreign currency and its equivalent in national currency, at the reference exchange rate of the National Bank of Angola ruling on the day of submission of the customs declaration. The value of machinery and equipment shall be validated by means of a reliable document issued at their origin by a duly certified asset valuation entity. 1. Implementation of investment projects shall commence within the time period defined in the Private Investment Registration Certificate. 2. In duly justified cases and upon request of the private investor, the time period referred to in paragraph 1 above may be extended. 3. Private Investment Projects shall be implemented and managed in strict compliance with the applicable legislation, and the contributions originating abroad may not be applied for purposes other than those for which they have been declared in the investment registration instrument, nor may such contributions be diverted from the object for which they were registered. 4. Transactions on regulated markets are not subject to any additional formality, other than those provided for in the Securities Code. 1. Corporate changes involving the increase of share capital, the expansion of the corporate purpose, or the transfer of equity interests or shares are exempt from prior authorization by the competent the Public Administration body, which registers the investments and grants the benefits provided in this Law, without prejudice to their being notified under such terms as shall be defined in regulations. 2. In the event that the changes referred to in paragraph 1 above involve importation of capital, such changes are subject to registration with the competent body. 3. The modification or expansion of the purpose of the Project shall be subject to registration with the competent body. 1. The private investor is required to employ Angolan workers, providing them the necessary vocational training and affording them salary and other employment conditions consistent with their qualifications, any type of discrimination being prohibited. 2. The private investor may, in accordance with the legislation in force, employ qualified foreign workers, whilst complying with a strict plan for the training or development of Angolan technical staff with a view to the progressive filling of those positions by Angolan workers. 3. The training plan and the plan for the gradual replacement of foreign workers by Angolan workers shall be included in the documentation pertaining to the Investment Project, at the time of registration. (h)	The carrying-out of a commercial activity falling outside of the scope declared. (c)	Cancellation of the private investment registration. 2. Failure to implement the projects within the initially declared or subsequently extended time period may be subject to the penalty provided for in subparagraph 1(c) above, together with the payment of a fine in an amount equal to the benefits granted plus 1% of the investment value, save in case of a demonstrated force majeure event. 3. Without prejudice to the penalties provided for in this Law, the offense described in Article 47(f) shall also be punished under the terms of the Criminal Laws. 1. This Law and its regulations shall not apply to Investment Projects approved prior to their coming into force, which investments shall continue, until completion of implementation, to be governed by the provisions of the legislation and the terms or the specific contracts on the basis of which the authorization was granted. 2. The provisions of paragraph 1 above shall not apply to those private investors who expressly request to have their projects which have already been approved subject to the provisions of this Law. 3. The benefits and other facilities already granted under preceding laws shall remain in force throughout the time periods set, which shall be subject to no extension whatsoever. 4. The Investment Projects pending on the date this law comes into force shall be registered under the terms of the regimes provided herein. All legislation inconsistent with the provisions of this Law, namely Law No. 14/15, of 11 August 2011, on Private Investment, is hereby repealed. Any doubts and omissions arising out from the interpretation and implementation of this Law shall be resolved by the National Assembly. This Law shall come into force on the date of its gazetting. Seen and approved by the National Assembly, in Luanda, on 17 May 2018. The President of the National Assembly, Fernando da Piedade Dias dos Santos. Promulgated on 13 June 2018. The President of the Republic, JOÃO MANUEL GONÇALVES LOURENÇO. Translation courtesy of Miranda Law Firm.